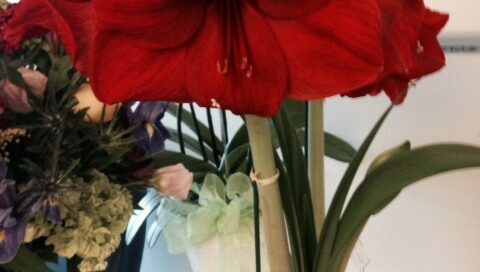 Red amaryllis to brighten a hospital room. Good night stories from “Madeline”. Blurry “Thank you’s” in a frame.